When I realized that other things were probably going to take up too much of my time this week to finish my planned fan-cast post, I needed to come up with something relatively easy to put together. Fortunately, I had just published something at “A View from the Right” the other day that was thematically related to this blog. In previous posts, I’ve mentioned how much I loved the old “The Six Million Dollar Man” and “The Bionic Woman” TV series of the 1970s. And, of course, there is the new “The Six Billion Dollar Man” movie being developed for a 2016 release. Well, this post is about bionics, but it’s a bit more close to home, more “real world”. It’s titled “Advances in Bionics”, and I hope you like it…. Yes, I realize that the title might make you think this post belongs on my “Heroes and Aliens” blog, but this is about the real-world development of “bionic” prostheses and orthoses. 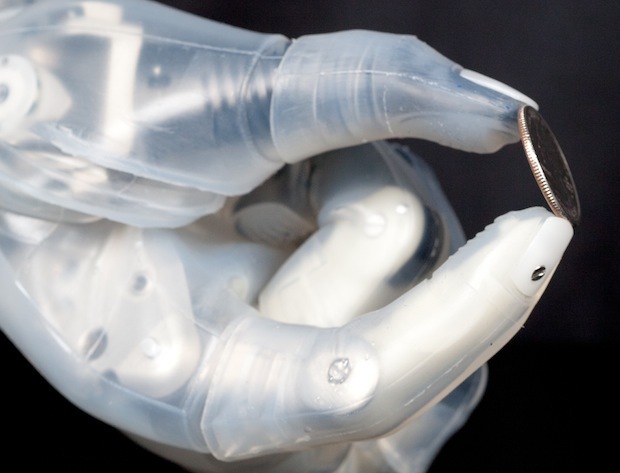 Last month, I ran across a list of really cool, recent advances in the field of bionics that I thought would be fun to investigate a bit further and share with my readers. (H/T Dr. Hossein Eslambolchi) I tracked down a few links that will show and explain further the concepts, design, and application of the new tech. It’s some exciting stuff that will be able to help many who have lost (or never had) limbs or have suffered Spinal Cord Injury (SCI). Check it out! ReWalk Robotics: Almost a year ago, ReWalk Robotics announced that the FDA had approved the ReWalk Personal System for home and community use. The system is essentially a wearable exoskeleton…. Follow the link above to read the full post, which includes briefs on nine separate advances in real-world “bionics” that are currently or soon to be commercially available, along with the abovementioned links to further information. No superhuman strength or speed (though that is being considered in some research efforts for military application), yet, and no nuclear battery packs, as far as I can tell. But, it’s pretty cool to see the new advancements being made that will help a lot of people.